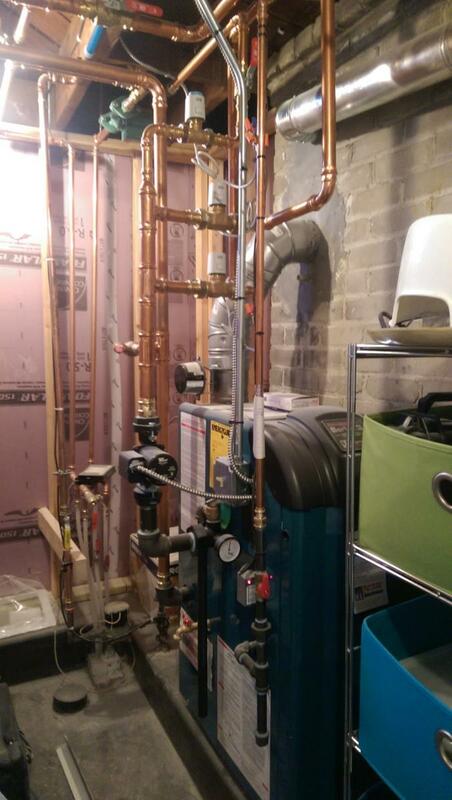 Our customer in South Minneapolis wanted to finish their basement and we were brought on as the heating contractor to install a Burnham boiler, relocate radiant pipes tight to the floor joists and install the basement baseboard heating system. We also relocated gas lines and installed exhaust ventilation for a bathroom fan. The project is nearly complete and Mill City Heating & Cooling feel very good about it.